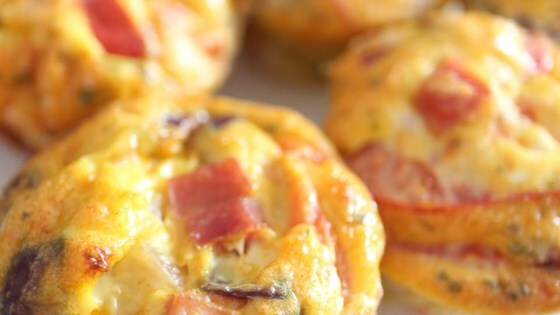 "These scrambled egg muffins with plenty of sausage and Cheddar cheese make a filling and fun treat at your next brunch. They're pretty, hearty, and fun to serve." A healthy, filling, breakfast on-the-go. My family loved these. I did use 1lb of pork sausage instead of half. I love all things breakfast and it's great having a "muffin" to grab for on-the-go. I added some cream cheese to the mix and cooked the sausage in maple syrup! So very tasty!